Discover the best in lodging at this Long Beach hotel - top tier amenities and attractions along the Southern California coast at your fingertips. 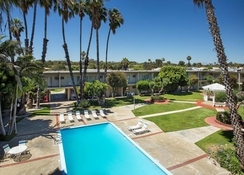 The BEST WESTERN Golden Sails Hotel is situated near the Long Beach Marina in Long Beach- California- twenty miles south of downtown Los Angeles. The Resort Hotel- on a seven-acre casual and tranquil setting- is just a few steps from a nine-hole golf course- white sandy beaches- two movie theatres- specialty shops- over 40 restaurants- grocery stores and two farmer's markets. 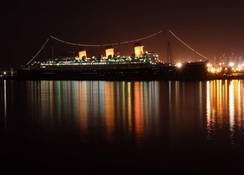 Hotel guests will also have convenient access to the famous Queen Mary and Aquarium of the Pacific. Families and thrill seekers will be close to Disneyland® Park- Knott's Berry Farm®- Universal Studios®- Legoland® and Six Flags® Magic Mountain. 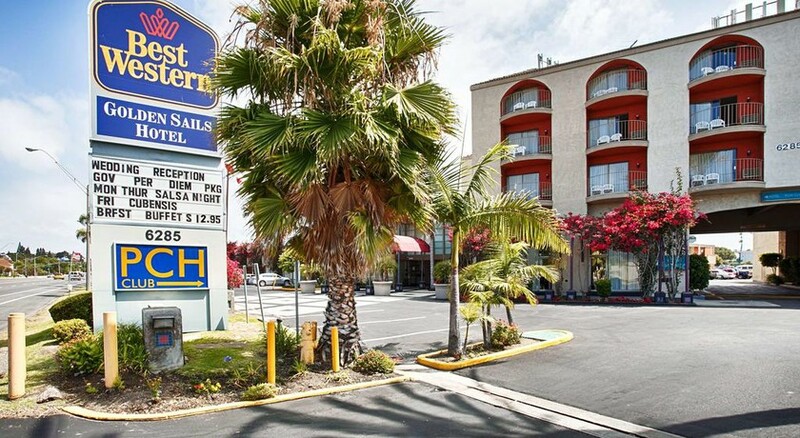 For business travelers- the hotel is located near Cal State University Long Beach and the VA Hospital. Hotel guests will be near the Naval Weapons Station Seal Beach- Flight Safety- Boeing Corporation- the Port of Long Beach and Long Beach Convention and World Trade Center. Hotel guests can also enjoy a relaxing nine-hole executive golf experience and soak up the lovely Southern California sun. Tee time is flexible without advance reservations at the course. Use of the Hotel’s golf equipment is free of charge. The Hotel rooms offer guests view of waterfront or of the beautiful pool-side courtyard. 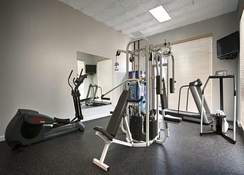 Each room features satellite television and free Wi-Fi wireless Internet access. 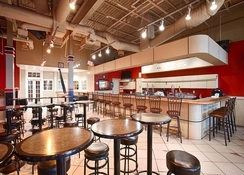 A delicious- complimentary full breakfast buffet is provided each morning. 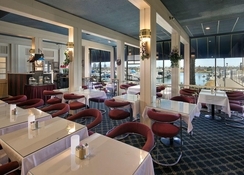 The onsite Sails Restaurant and the PCH Club cocktail lounge provide guests a welcome respite at the end of a busy day. Other great hotel amenities include 14-000 square feet of banquet facilities- an outdoor swimming pool and spa- fitness center- guest laundry and business center. Guests can also take advantage of complimentary shuttle van service to the Long Beach Airport. 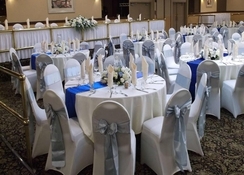 The Hotel can accommodate small to large size banquets or meetings.